Trying to find the perfect place to put your special jewelry? 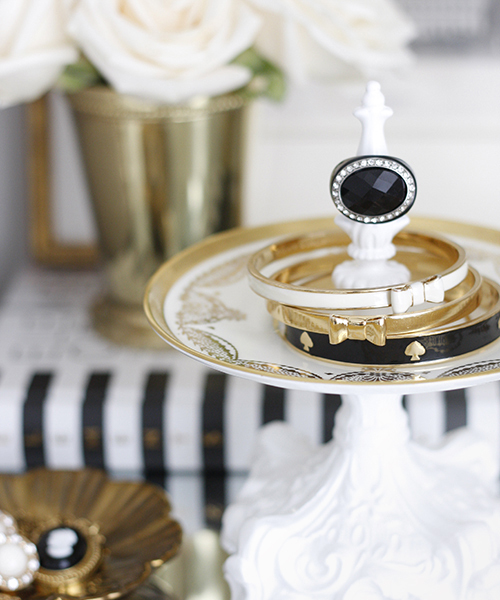 A vintage saucer ring holder on your bedside table is not only practical but also stylish to match your home decor. 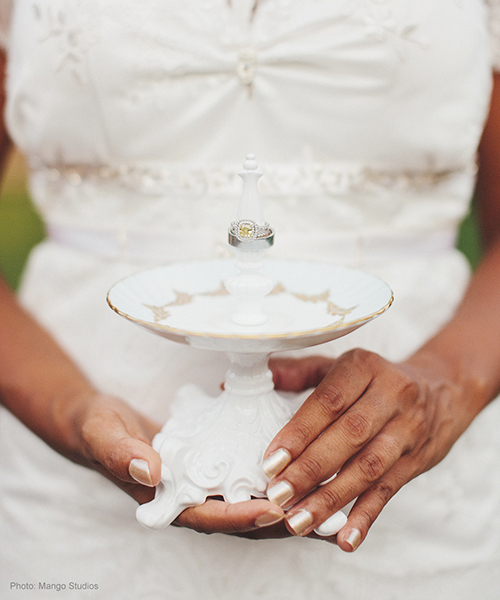 Surprise the bride with a one-of-a-kind ring holder for her engagement party or wedding. It will provide the perfect spot for safe keeping of her engagement ring and other precious jewelry. 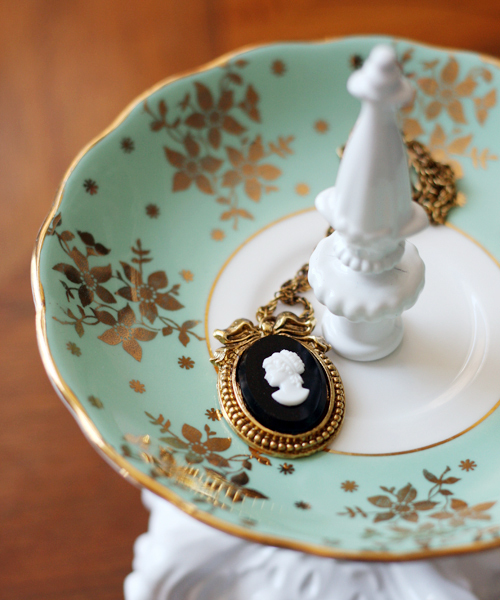 Cherish the memory of your grandmother through a ring holder made with the saucers she left behind in the china cabinet. 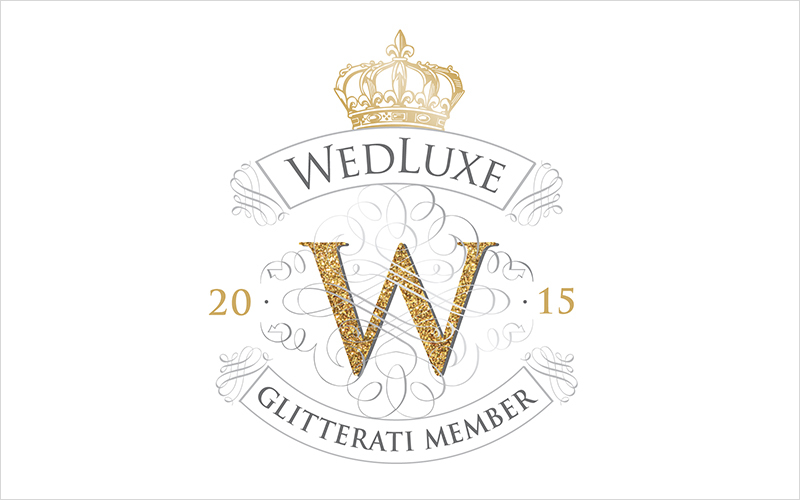 Makes a wonderful heirloom keepsake to pass down to family. 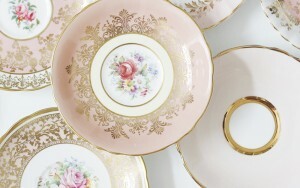 Display macaroons and sweets on vintage china under a dome with ribbon to perfectly match your dessert table. 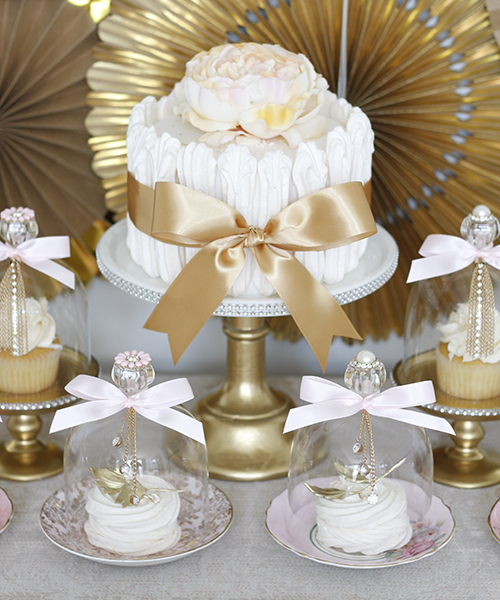 The mini domes are also great guest favours for wedding shower tea parties. Paige Smith is maker of Heirloom Keepsakes — ring holders and dessert domes made with repurposed vintage fine bone china saucers. A collector at heart, Paige has treasure hunted up to 800 orphan saucers from antique stores and flea markets all over Canada and the United States. Beautiful and functional, each piece now makes a wonderful gift for that special person or occasion: bride, bridesmaid, wedding, engagement, anniversary or birthday. Finished pieces using vintage china are available on etsy.com or custom pieces can be created using vintage, modern or china you have inherited from your grandmother — memories to treasure forever.